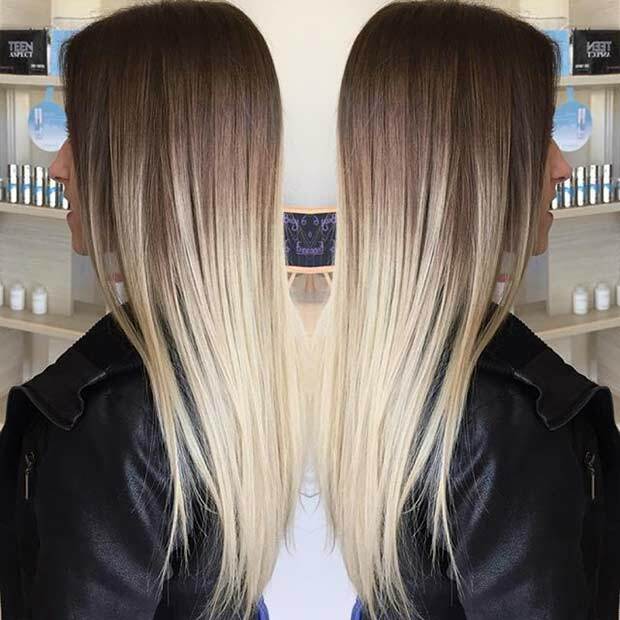 Everyone has gone from their deeper, darker brunette shades to lighter, blonder tones for the spring and summer 2016 season. Khloe Kardashian was recently seen sporting this beautiful blonde bombshell look. 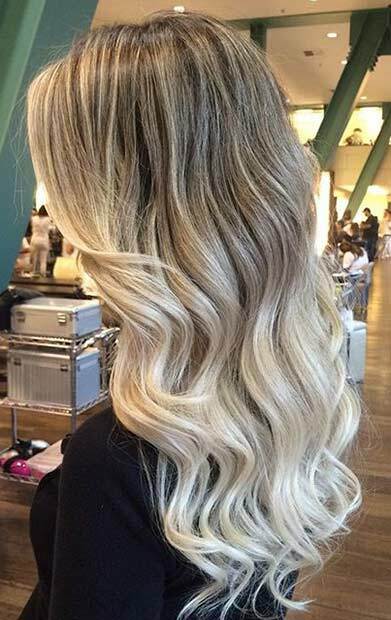 If you want to go for blonde for the first time and you have naturally blonde hair, we would highly recommend that you discuss the matter with a professional hair stylist first as there will be many things you’ll need to take into account. Things like your skin tone and eye color are important when making hair color decisions. Nothing works better with these blonde balayage looks than a boho twist, and with the summer coming right up, there hasn’t been a better time to try and experiment for yourself. You can achieve these beachy boho waves easily by mixing some sea salt with water in a spray bottle. Simply spritz and crunch for an easy daytime look that you can easily carry right on through to night too. If you want blunt, go blunt, there’s nothing to stop you. We love this look and the careful, perfect blending that went into it. If you want super-straight hair though, and super sleek like you can see here, you must be prepared to go to a stylist. This is a look that doesn’t allow for any mistakes. Who said you couldn’t have light and dark together? 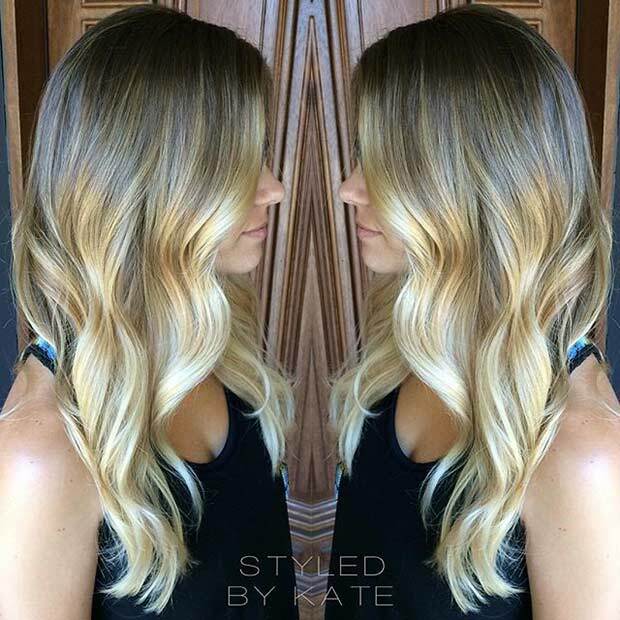 This high-contrast blonde balayage look is not only beautifully breath-taking, it’s actually very subtly done. 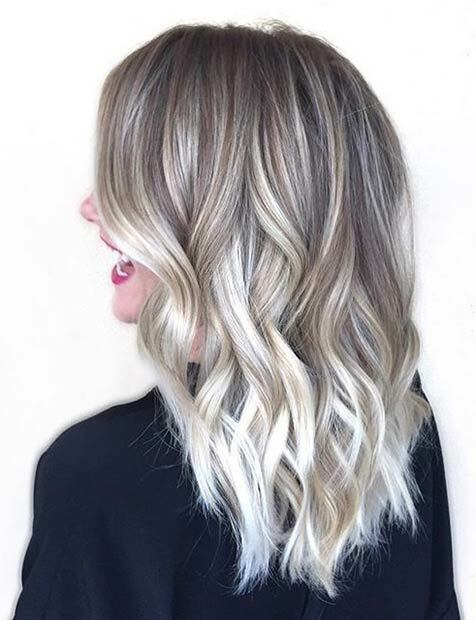 You can barely make out the line between the color changes and this is the look you want to achieve especially if you want a high quality balayage look. Many stylists wouldn’t recommend lightening or bleaching your hair at home especially if it’s your first time, and there’s plenty of reason for that. There are many things that can go wrong and just remember – this is your hair. You’ll need to live with whatever happens. 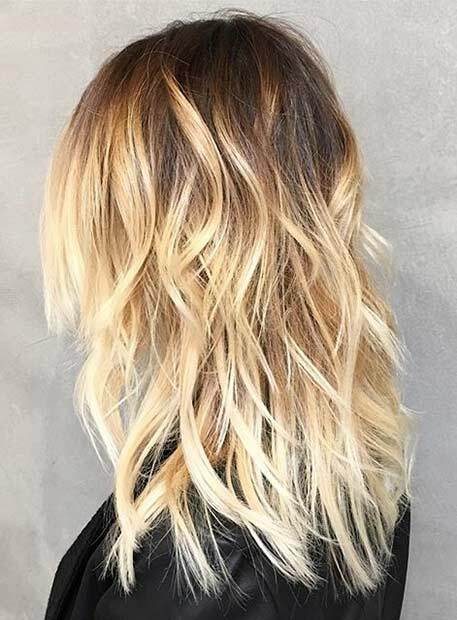 If you’re wanting one of these blonde balayage looks for the first time and you want to get it right, do yourself a favor and just see a professional who you’ve done your research on. If you’re being told it’s not a great time to try and lighten your hair, there’s a probably a good reason for it. 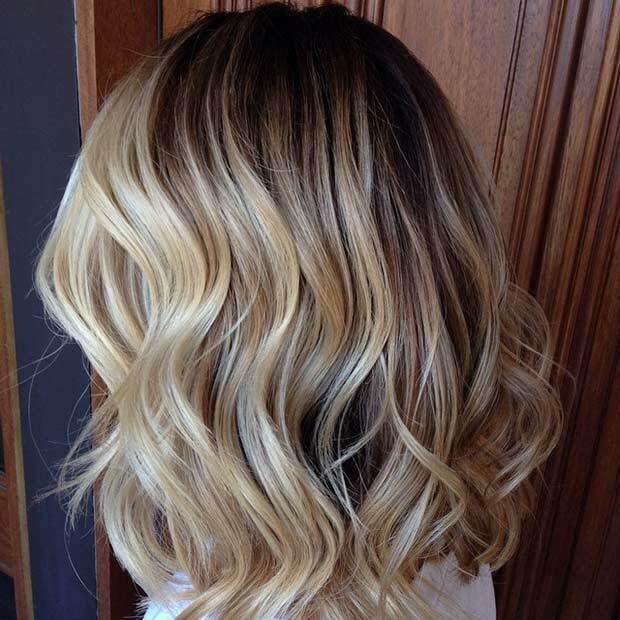 Blonde balayage looks are great for those who want to go blonde for the first time, but not too blonde. As you can see here, there is the perfect amount of light and dark, giving you the perfect balance of the two. If it’s your first time, something discreet and subtle like this is definitely the way forward. There’s still enough dark at the roots but plenty of light around the bulk of your hair. You could even go for a lesser stream of highlights and blending for a more toned down look. Of course if you want to go all-out, why not? 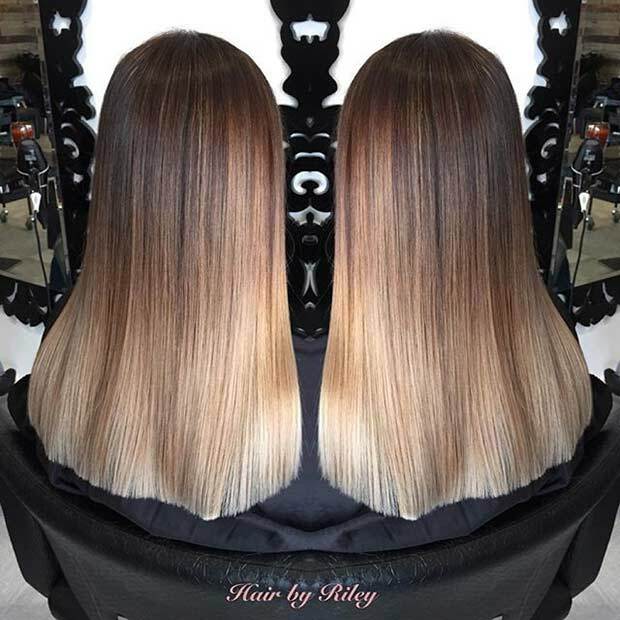 We love these ice blonde highlights, another of the blonde balayage looks you simply must try for 2016. 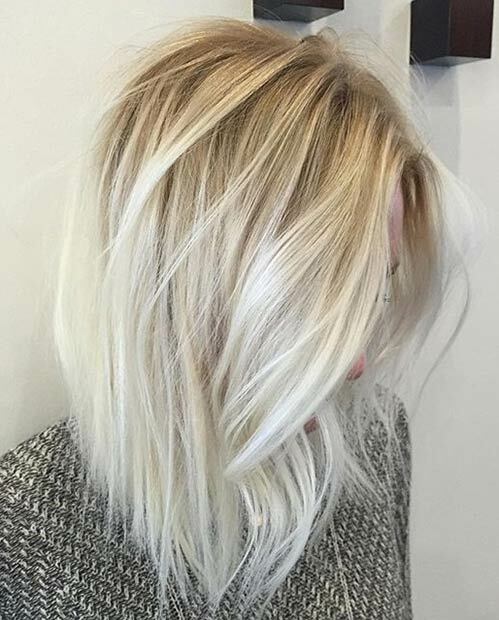 Although the brown has been left relatively neutral and close to the model’s natural hair color, the rest of the look has been given a beautiful frosting of that icy blonde hue, combining the two with varying shades between the two. It’s a bold look and one that will take some maintenance, but it will get you noticed for all the right reasons. Making a drastic color change is not something you should do lightly and if you are going to go through with a dark to light transformation, be aware that you will need to give the heated styling tools a miss for a while. If you’re bleaching your hair, you’re damaging your hair and more heat, such as hair straighteners, will provide further damage. Do yourself and your hair a favor and let your natural wave shine through. Is your hair in healthy shape already? If it’s not, you may find that you have problems getting the colors to do everything you want them to do. If you have darker hair and you want to go blonde, your hair must be in good condition before you start any lightening treatments. If it’s not, a whole bunch of things could go wrong. It is always advisable to do a deep conditioning treatment on your hair around 48 hours before your appointment at the hair salon. This gives you the best protection against the heating, lightening and heavy treatment it is about to undergo. 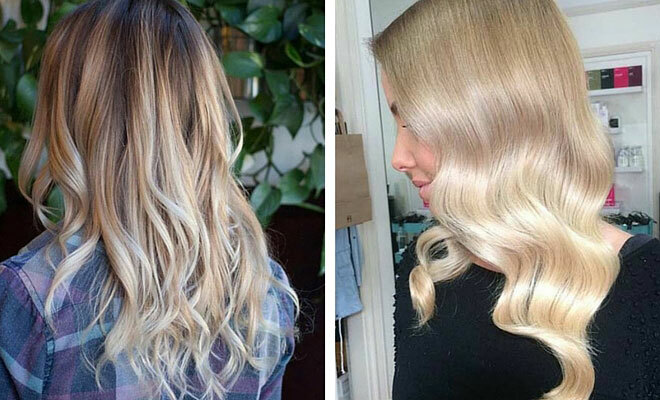 For fine and thin hair, your blonde balayage looks should incorporate plenty of shades of light and dark. Why? Well, those multi-tone shades help to add more depth to the hair. If it were all one color or tone, it would have no depth. Think of it like shading – adding a 3d effect. 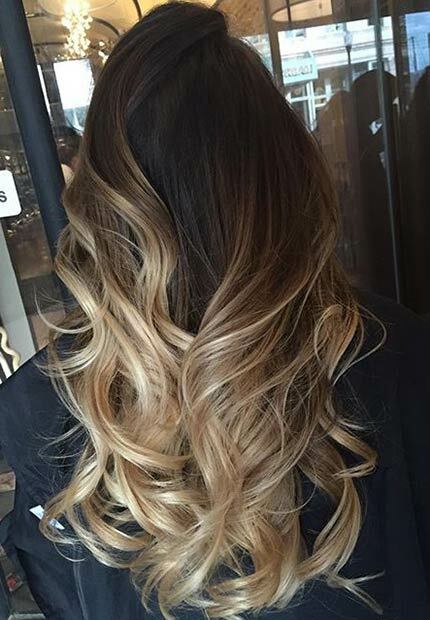 When you mix highlights and shading in this way to add depth, and then mix it with curls and bouncy waves, your hair will instantly look revitalised and thicker. It’s a trick all the celebrities use! As a hairdresser in the business since the 80’s having seen all the different ways of doing hair I can honestly say all,of these above are awful. From looking like they’re grown out old frosting cap highlights, or bad colorist dye jobs, and then there are the massive chunks, stripes that make them revolting. Sorry but sausage rolls are hideous, if a stylist is too lazy use a brush to give a bend to the hair just leave it straight. We made fun of girls with curls like that for a reason they are ugly. I am also hairdresser and have been since the 80’s and you clearly don’t see style as I do, maybe you need to trend yourself up a notch or two !! I to am a hairdresser since the eighties , I have’ta agree with Julie , idk ur clientele , but mite need to keep up with trends , these are exactly what everybody wants and is asking for . Got to get out there, switch it up a little bit . Murray must be one of those hairdressers that still perm with little yellow and blue rods. Or pull hair through a cap and think it’s Amazing work. Lol. The fact that Murray makes fun of people for having a style that they’re comfortable in defeats the whole purpose of ever being a hairdresser, which is to make people feel better about themselves. I cut a few mullets myself these days. Is it fashionable? No. Is it pretty? Not to me. Are my clients happy? Yes they are! It’s not about you. It’s about the people you serve.